The State Insurance Fund will lease space at the TRB's Santurce headquarters. The State Insurance Fund will lease space at the TRB’s Santurce headquarters. 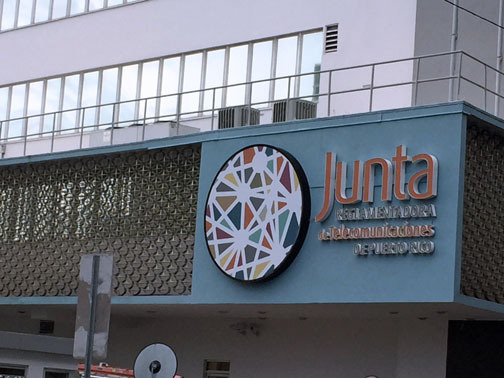 The Puerto Rico State Insurance Fund will lease space in the Telecommunications Regulatory Board’s Santurce headquarters to move its technological equipment from another building for which it paid nearly $1 million to lease, agency officials said. The agreement will cut the expense down, in response to the government’s policy of maximizing existing resources. “While it is true that we all have to do our part to alleviate the fiscal crisis that the island is going through, it is even truer that the government has a moral obligation to set an example, and without excuses, to ensure the healthy use of every penny,” said SIF Administrator Jesús M. Rodríguez-Rosa, saying thanks to the partnership with the Telecom Board, the SIF will save nearly $4 million in the next five years. Meanwhile, TRB President Sandra Torres emphasized how technology is the key to underpinning government plans and seeking the efficiencies needed in these times. “Our approach is to implement a new governance structure that significantly lowers public spending and substantially improves its functions, maximizing the use of technology to transform government processes, making them more efficient and work as one team, one government,” she said. “Therefore, interagency partnerships are vital to generate efficiencies and seek effective common solutions for the benefit of citizens,” she said. Hey Buddy!, I found this information for you: "State Insurance Fund to lease space from Telecom Board". Here is the website link: https://newsismybusiness.com/insurance-telecom-board/. Thank you.